Bees like blue, yellow and white flowers best. 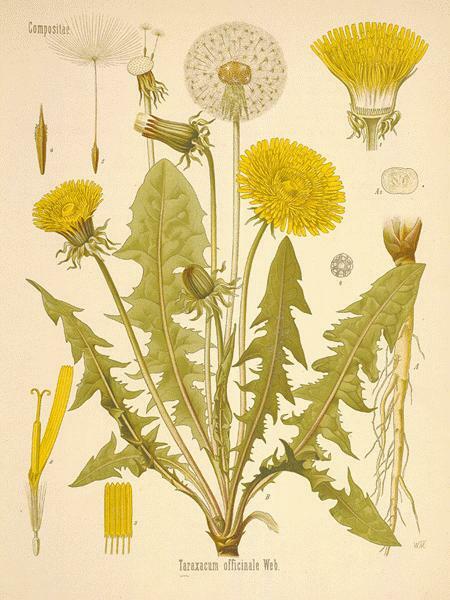 Coincidentally, I'm obsessed with chicory, dandelions and Dutch clover. A few weeks ago, I dug up chicory and dandelions from the side of the road and planted them in my nursery bed. The chicory plants had gone to seed and almost immediately I found myriad baby chicories growing! I will transfer them to their own bed in the spring and I'm hoping that the bees will like them. And I will force myself to enjoy dandelion and chicory greens, even if I have to boil them two or three times to reduce the bitter taste. OK-so I'm starting to hate The New York Times. Considering the fact that so many people still take this newspaper's word as gospel, I think they should be a little more careful about checking their sources. I am talking about their recent proclamation on October 6, 2010 that honey bee hive collapse is due to a combination of a virus and a fungus. The title of the article proudly proclaims, "Scientists and Soldiers Solve a Bee Mystery." No mention of PESTICIDES as a contributing factor, even though the bee scientists, led by Jerry Bromenshenk of the University of Montana in Missoula, state that more research is needed to determine "how much environmental factors like heat, cold or drought might play a role." HUH? This seemed weird to me. 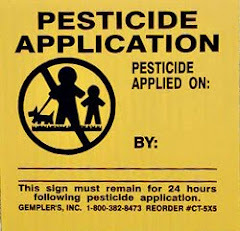 Aren't pesticides now an "environmental factor"? Given the fact that our bodies seem to have been so infiltrated by pesticides that scientists are now studying the correlation between learning disabilities in children and the amount of pesticide residue found in their urine, why wouldn't pesticides be on any agricultural scientist's list of "environmental factors"? Two days later, a rebuttal article, "What a scientist didn't tell the New York Times about his study on bee deaths" was published on the Fortune magazine page over at CNN. It turns out that the study's lead author, Montana bee researcher Dr. Jerry Bromenshenk has a cozy FINANCIAL RELATIONSHIP with Bayer Crop Science, a subsidiary of the German pharmaceutical giant Bayer AG and the LEADING MANUFACTURER of pesticides, particularly so-called neonicotinoids, a class of neurotoxins that kills insects by attacking their nervous systems. Kudos to journalist Katherine Eban for her fast work and fine article which reveals: "In recent years Bromenshenk has received a significant research grant from Bayer to study bee pollination. Indeed, before receiving the Bayer funding, Bromenshenk was lined up on the opposite side: He had signed on to serve as an expert witness for beekeepers who brought a class-action lawsuit against Bayer in 2003. He then dropped out and received the grant." Specific details follow later in the article, complete with names, dates and citations. Pow! As for Kirk Johnson who wrote the original New York Times article, I pee pee on you. And many, many thanks to my friend Karen for alerting me to both of these articles.